Water features add excitement and drama to your backyard pool paradise and the Jandy® WaterFeature pump is the ideal solution to power your masterpiece. The pump includes "Quiet Technology" for significant noise reduction and is designed to save energy to minimize operating costs. The proprietary impeller and body design delivers ultra-quick primes and optimum performance. 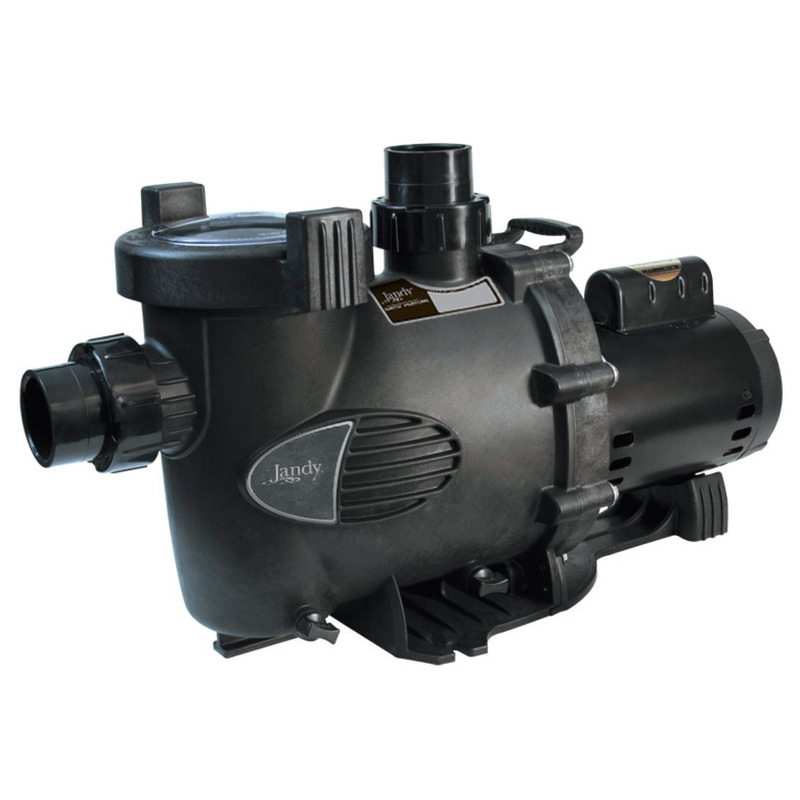 The Jandy WaterFeature pump is perfect for waterfalls, Laminar Jets™, Aqua Accents™, vanishing-edge water features, and many other water features. WFTR80CND 80 230/115 5.4/10.8 2"-2.5" 40.6 lbs 29.25"
WFTR120CND 120 230/115 8.0/16 2"-2.5" 42.6 lbs 29.25"
WFTR160CND 160 230 11.5 2.5"-3" 48.6 lbs 30"